Welcome to my updated Nikon D7100 review for 2019! What’s so special about this crop (DX) body and who is it for? Is it worth buying Nikon D7100 in 2019? Without a doubt, it’s worth considering. Nikon D7100 is an excellent mid-level SLR camera for you, especially if money is next to no issue and you want to get the BEST VALUE. Also perfect for those who care about quality, speed, and the ability to shoot under adverse weather conditions. If you have basic photography skills, the set of features of this body can’t but make you smile. As for the technical aspects of it, the camera outshines most of its competitors, including from its own line. It is a great choice for photographers who are familiar with the theory and practice of photography. No doubt, in the skillful hands the D7100 can become an awesome working tool for creating masterpieces. what are our lens recommendations based on your photography genre. I will also do a quick comparison between this and the other models. Let’s start with an in-depth video-review (17+ mins long). Why Are D7x00 Series a Great Choice? D7500 (2017) : the most expensive, an official EISA Award Winner 2017-2018. A lot of people, myself included, often recommend starting with D3x00 or D5x00 series if you’re a beginner photographer. If you can spend more than $500 on your first DSLR and are looking for the best value, here are the reasons why you should consider D7x000 bodies. 1) You can grow into them. Basically, some people grow out of their D3400 or D5300 after a few months. D7x00 series give you more room for growth, if you don’t plan on becoming a professional right now. 2) They have a screw drive motor. Like I mentioned earlier, the D7x00 series cameras have a screw drive motor, which means you’re able to autofocus with a lot of good old Nikon lenses. 3) Overall better than their D5x00 and D3x00 counterparts. more dedicated dials and buttons on the body itself. If we compare the cameras, D7x00 bodies are a bit better in everything. as well as an impressive set of characteristics. Only a relatively little image buffer can limit in the serious professional application of D7100. Many experienced photographers will agree that D7100 is one of the coolest camera out of the crops. And despite the fact that it was declared (by the manufacturer) as an average solution, this camera inherited a lot of great features from older models. Most people may never take advantage of certain features, but for an advanced enthusiast, it’s exactly what’s needed. In many ways it’s similar to its predecessor D7000, which was and remains a great camera. If you already have a D7000, then upgrading to D7100 doesn’t really make sense. In any case, do upgrade if you feel your current camera restricts you. What can we say about this DSLR? First of all, D7100 has a 24 megapixel resolution sensor, which sets quite high demands on lenses. In terms of its physical parameters, it’s a bit heavier and bigger than Nikon D5300 (review). However, it’s not the 24 MP sensor that stood out but the fact that Nikon engineers decided to remove the low-pass frequency filter in front of the sensor. Basically, it adds sharpness to the image, with a risk of moiré on some periodic textures. However, a moiré pattern is more hypothetical because in real life you are unlikely to encounter this effect. An experiment without a filter was first carried out on Nikon D800E. 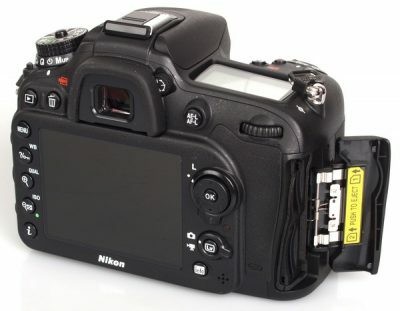 The manufacturers realized that no one was experiencing any special problems and the sensor without the filter went to the masses in the form of D7100. Another thing worth mentioning is the speed. Despite its impressive resolution, this camera works extremely fast: its burst rate is 6 frames per second, which already allows you to shoot sports related events. What About Its Autofocusing System? The autofocus system has also been slightly modified. Now there are more focus points, which in theory should improve the focus accuracy on fast moving children. In reality, you can’t really tell the difference since there were no problems with autofocus in D7000. The autofocus zone occupies a significant area of the frame, and the autofocus itself works instantly. The mirrorless cameras look like sleepy snails in comparison with the D7100. It’s also worth mentioning that just like in the previous model, the autofocus control is very convenient. The switch modes AF-A, AF-S, AF-C make it easy to switch from a dynamic scene to a static one. 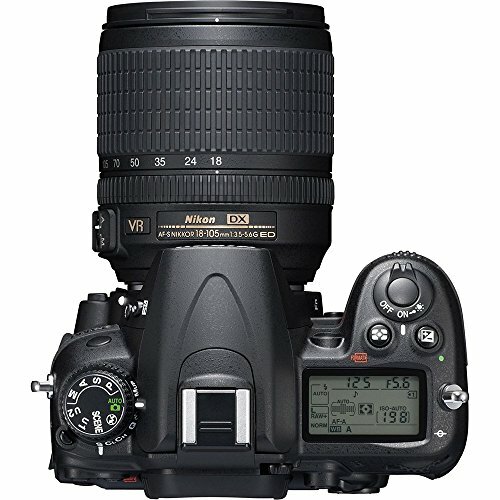 Just like with most Nikon digital cameras, this model also has a great ability to focus in low light conditions. The image quality/color rendition in D7100. The color rendition in Nikon cameras has historically been the object of envy for owners of other camera brands. 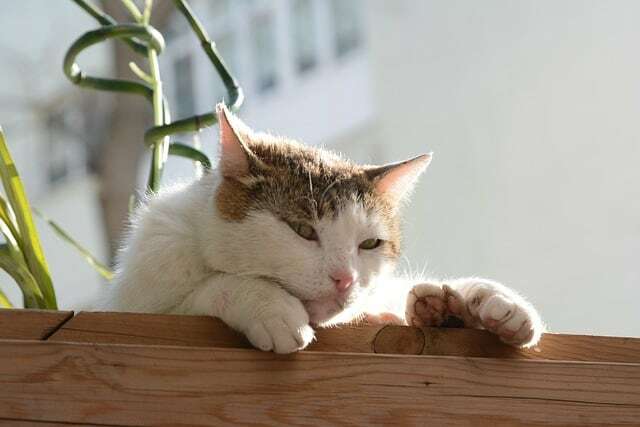 Even in the Canoner camp, there are ones who use a software/function called “Picture Style” to simulate Nikon into their cameras. Anyway, I am positive that you will get excellent results on the D7100 in auto white balance mode. 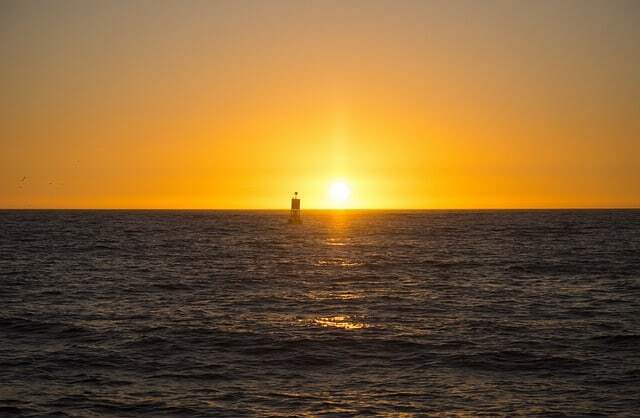 If you shoot at sunset, you may want to move the cold tones (B) to the side so that the picture is not too yellow or red. In general, if the lighting is complex and you are unhappy with the operation of the DSLR (which will be extremely rare), then adjust the white balance manually. When shooting on a bright, sunny day, don’t forget to use a polarizing filter to get a better contrast of the sky with the clouds. I assure you, you will want to shoot the sky with clouds because of the stunning colors that the D7100 gives out. They are bright, saturated, but at the same time natural. For portrait photography shooting, it’s recommended to use the Neutral (NL) or Portrait (PT) mode because in Vivid mode faces can give off a bit of red colors. In any case, work on portraits with further processing on the computer to add a bit of drama/romanticism. In the auto-select settings for the minimum threshold, you can make a correction from -2 to +2 steps. That is, if by default on 105mm the Auto ISO considers the switching threshold 1/160s to be normal, then with the correction -1, it will be 1/80sec. Normally, you can shoot on D7100 up to ISO 6400. At this value you start to see the noise but not to a point that it bothers you significantly. 1) You will like that there are 2 SD memory cards. It will be useful if you have not decided yet whether you want to shoot in JPEG or RAW, because the camera can use different formats on different cards. For all regular people who shoot in JPEG, the second card can be adapted either as a backup card, recording in parallel, or simply to increase the available buffer volume by recording sequentially. Memory cards are very convenient to take out. 2) Presence of user modes U1 and U2, which together with the usual, is like having three cameras in one. Piece of advice: you can set U1 to photograph landscapes, U2 for portrait photography, and use the rest when you’re experimenting. 3) Photographing lightning and fireworks with its interval shooting will be a complete pleasure. Also, in the timer, you can set the number of frames and the interval between them. This is very convenient when you are taking a group photo with a tripod, and someone blinked. Nikon D7000 vs D7100: Which One to Choose? A lot of people can’t decide between D7000 and D7100. A few years ago, the difference in price was about $400 (if I recall correctly), right now the difference is about $100-150 for camera body. While D7000 is still pretty good, D7100 is a bit better. I mean it has better focus system, it’s faster, less noise at high ISO values. I’d go with D7100 but if you’re on a tight budget, it’d be logical that you consider a cheaper D7000 body and a better lens than a newer D7100 body and a cheaper lens. But of course, the choice is yours! Fortunately, you can start using the camera right out of the box, but here are a few adjustments that you can make. In our opinion, it’s the cheapest and best option for the Nikon crop camera. The lens that everyone should have. The latest version of the kit 18-55mm lens. A good choice for fans of universality and budget options. A universal travel zoom, if you were to take only one lens. The most affordable autofocus version for portraits. 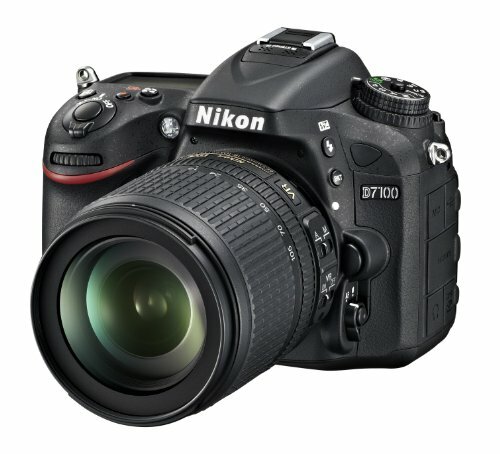 Nikon D7100 is an excellent crop sensor DSLR for all occasions with great ergonomics and excellent image quality. Nikon D7100 is great in terms of price-quality ratio, especially suitable for those who already had worked with cameras at least from a low-price range. Its main feature is the absence of a low-frequency filter, which traditionally serves to suppress the moiré effect by forcibly reducing the detail of the image. Since this filter is removed from this model, nothing gets in the way of obtaining maximum image detail. Getting Nikon D7100 in 2019 will be a great investment, especially if you’re on a budget. Over To You: What Are Your Thoughts? What is your level in photography? Did you like this camera (and my review for that matter)? Anything else you’d like to add to this article? If you’ve decided to get D7100 for 2019, let us know your experience in the comments! I want to buy my first SLR camera to learn photography. I really like the Nikon d7100 camera. I like the controls, ergonomics, and I don’t think there will be problems for me mastering it. The d7200 is a little expensive for me. What do you think, is it still relevant to buy Nikon D7100 in 2018 after the release of D7200? Anyway, I want to become serious with photography and would be great to hear from you (your team) if it is still worth buying the D7100 today? Yes, Nikon D7100 is still relevant in 2018. 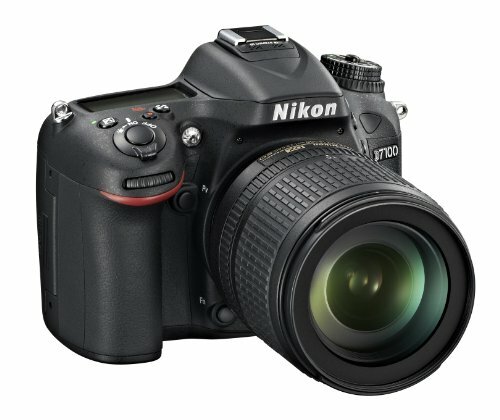 The D7200 would be the winner in the reportage shooting. As for the photography genres you specified in you comment, D7100 will be an excellent choice. You can also refer to our Nikon D5500 review if you need more info, but based on what I understood, D7100 sounds like a great fit for you. P.S. If you’re not very familiar with SLR cameras, then owning and reading good photography books for beginners should be one of your considerations. I own a d7100, and in the DX family – I find no reason to upgrade, except the focus mechanism which seems to be better on the D7200 and on. ISO performance is also slightly better on the D7200, but nothing to justify replacing the D7100. Another note – D7200 and on are not supported by Lightroom 5.7 and Camera Raw in PS CS6. So for owners of Lightroom 5/PS CS6 – who are not interested in purchasing a monthly subscription to Adobe’s CC suite, that’s another reason to stick with the D7100. Thank you for sharing this info! Sometimes I forget to mention certain points (or other writers for this website), so it’s great when questions/additional points are made in the comments are. Always love seeing professional photographers come by! 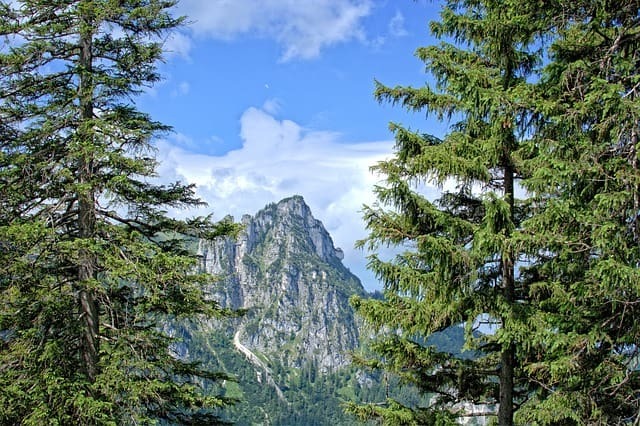 Checked out your PhotographyDotTom blog – great images. Seems like you’re also more into landscape photography, like I am. After I recover from orthopaedic surgeries, I plan to travel around and take more beautiful photos. Is Nikon D7100 your main camera, or you own other ones as well? What is your favourite camera so far? Curious to hear your thoughts!